Photography today is a hobby that everyone can practice. A diversity of cameras is available to correspond to the need and skills of every individual interested in learning all about photography. These cameras are often inexpensive and having a multitude of useful features. Digital photography, however, is more than the simple usage of a camera to take a picture. It requires the understanding of some basic techniques, rules and concepts. Each picture has to be properly lit, well composed and emphasizing on the intriguing details. 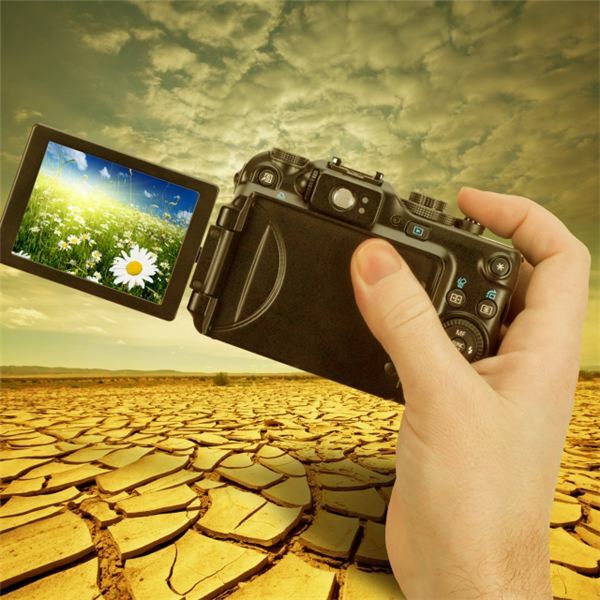 New digital cameras have revolutionized the world of photography. The need to develop pictures has disappeared. Further, digital cameras have a display that enables the photographer to get rid of blurry and poor photos as soon as these are taken. Still, photography is guided by certain rules that everyone who is serious about it needs to learn. The first step towards becoming a good digital photographer is the selection of an appropriate camera. A person needs to decide which features are needed and what quality of pictures will be satisfactory. Many people wonder about megapixels. Some cameras have six of those, others are labeled to have resolution of 12 megapixels. The resolution is actually the size of the frame. A three megapixel camera produces a picture containing three million pixels. Remember that more megapixels is not the equal of better image quality. Pay attention to optical equipment, since the optical zoom determines the quality. Optical stabilization is something useful, especially for beginners. Stabilization neutralizes the motion of the lens resulting from shaking hands or any other unexpected motion. Remember that if you are a beginner, you should refrain from purchasing a professional digital camera. It has too many features and you will find the process of taking a picture rather complicated. Buy a simpler camera and gradually improve your equipment. Now that you have purchased your equipment, you will have to learn the basics of taking a picture. Photographic composition is very important for a harmonious and aesthetically pleasing image. Composition is the manner in which all items appearing in the frame are arranged. Most people are able to achieve good composition instinctively. Start with simpler compositions. The most important object should be prioritized. Background objects will provide additional information, making the picture complete. The human figure plays an important role in composition. A human body in the photo enables viewers determine the size and scale of other objects appearing in the picture. Keep in mind that a human will usually grab the attention. If the person is not the main focus of the picture, you should try to delicately hint what the viewer needs to pay attention to. The central point on the picture should coincide with its geographical center. This enables the division of the frame into symmetrical parts. Another option to look at it is to mentally divide the frame in three equal parts having two horizontal and two vertical lines. This frame will have four crossing points. Positioning intriguing objects on any of these four points makes the picture balanced in terms of composition. A picture can also have natural guiding lines – a road or a river. These natural lines can be used to direct attention towards the important image components. A good picture is a clear one. It is focused and sharp. Beginners should use the automatic focus option. It is designed to make the picture as clear and sharp as possible. Experimenting with other regimes is an opportunity to learn more and to discover alternative ways to present a message. Keep in mind that automatic focus needs contrasting objects to work properly. Automatic focus will produce blurry pictures if too many similar items appear in the frame. Insufficient light will also result in blurry photos. This is when the manual focus comes into effect. Beginners have difficulties getting used to it but manual regimes enable the taking of excellent pictures in imperfect conditions. Optical stabilization is another feature that can be used to prevent images from getting blurred. Stabilization is suitable for photographing solely immobile objects. Remember that blur can also be used to create artistic images and to emphasize a motion. It is all about the photographer’s perception. Contrast creates a mood. It makes the picture much more intriguing and influential. By definition, contrast is the difference between the lightest and the darkest items appearing in the frame. Light and taking a picture during the most appropriate time of the day can be used to achieve perfect contrast. Each camera has specific regimes designed for taking picture during the day, during cloudy weather, during sunny weather or indoors. Seek contrast to make pictures alive. Even if the difference is small, you can use an image editing program to make items more contrasting and captivating. Remember that sometimes photography is all about breaking the rules. Good photographers know the basics but are daring enough to experiment and bend those. Some of the most bizarre and breath-taking images are the results of photographic experiments. Select the proper equipment and go outside. Good photographers learn from experience. Examine the regimes and take pictures during different times of the day. This is the best way to get a good feeling about this form of art and the best methods for creating quality pictures.